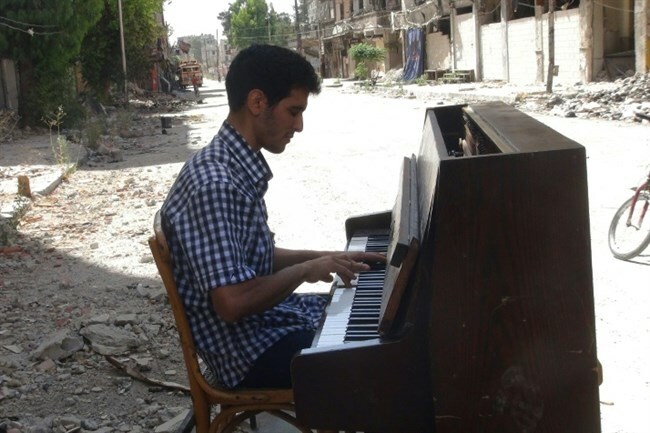 Three years of siege, famine and bombing of his Damascus refugee camp didn’t kill celebrated musician Aeham al-Ahmad, but something died inside him the day jihadists burned his beloved piano in front of his eyes. ___It was then that Ahmad, whose music had brought consolation, even a bit of joy, to Yarmuk camp’s beleaguered residents, decided to join thousands of others and seek refuge in Europe. ___”They burned it in April, on my birthday. It was my most cherished possession,” Ahmad told AFP, which is following his odyssey online, step-by-step. 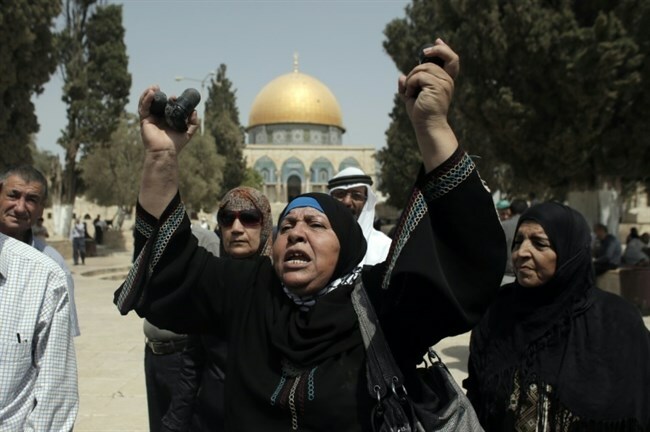 On Friday afternoon prayers one Palestinian was shot by Israeli forces, and two Israeli police were injured in clashes across Jerusalem, amid a week of upheaval centering around al-Aqsa Mosque. In preparation for a call from Hamas for a “day of rage,” Israeli police deployed 5,000 forces around Jerusalem and limited access to the Muslim holy sites by age. By evening Israel’s parliament approved drafting army reservists to street patrols, a signal of continuing strife. ____“Their strategic aim is to prevent religious freedom—when I say religious freedom I mean even the right of Jews to visit quietly,” Barkat said. 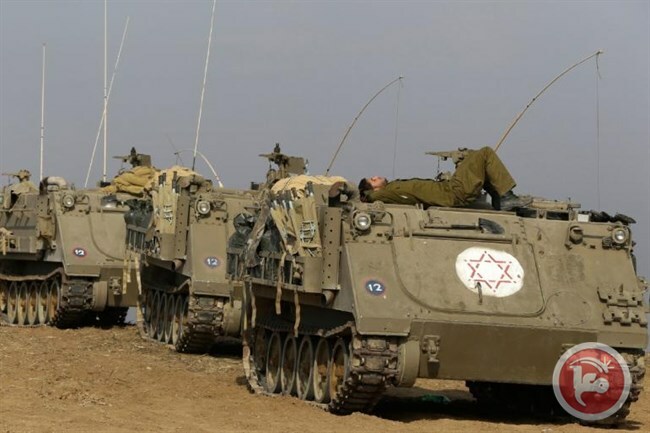 GAZA CITY (Ma’an) — Israeli military vehicles crossed the border fence into the northern Gaza Strip on Monday and leveled private Palestinian land, witnesses said. ____Locals told Ma’an that four military bulldozers entered a border area near Jabalia in the besieged enclave and leveled agricultural land. In response to the Reykjavik City Council’s — since reversed — decision to boycott Israeli goods until the occupation is ended, Israeli politician Yair Lapid wrote an open letter to the Icelandic people titled ‘The Hypocrisy of Boycott.’ In his oped, Lapid argued that Israel should not be boycotted because doing so would harm its Arab citizens. One of those citizens responds. Ramzy Baroud is an internationally-syndicated columnist, author and the founder of PalestineChronicle.com. His latest book is My Father Was a Freedom Fighter: Gaza’s Untold Story. The fate of Jerusalem and its holy sites cannot be understood separately from the fate of Palestine. And the daily struggle of Palestinian Muslims and Christians in that City is a representation of the struggle of Palestinians everywhere. And rivers are being wed.
From: Aruri, Naseer and Edmund Ghareeb, eds. ENEMY OF THE SUN: POETRY OF THE PALESTINIAN RESISTANCE. Washington, DC: Drum and Spear Press, 1970.